The modern bed-and-breakfast may be different from what travelers expect. While some countries have specific regulations about what establishments can and can't consider themselves bed-and-breakfasts, there aren't any hard and fast rules in the United States. In general, American bed-and-breakfasts are significantly smaller than hotels or inns, have owners who live on-site, and limited front desk and check-in hours. Some have shared bathroom facilities, especially in older buildings, but newer ones have rooms with en-suite baths. 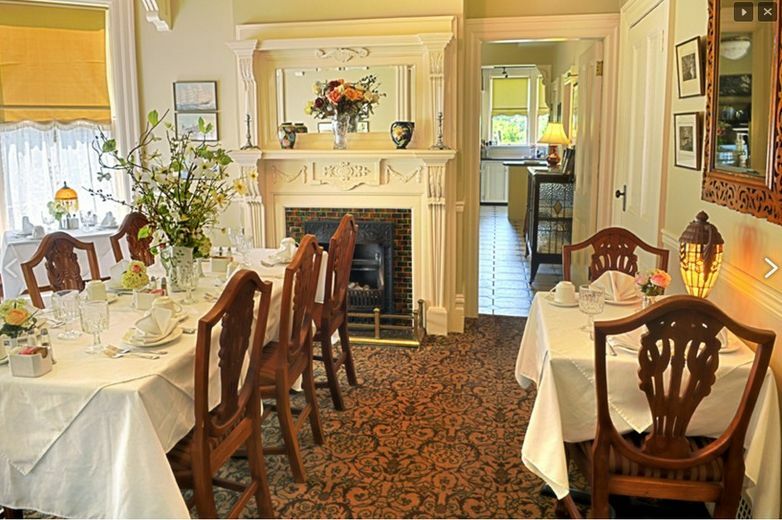 All bed-and-breakfasts provide at least one meal to guests, served either in the guest's room or a shared dining room. This is usually a meal the hosts have prepared themselves, and as the name implies, it is nearly always breakfast. For the most part, the hosts also clean the rooms, maintain the property, and provide concierge services like booking tours of local attractions. With the rise of home-sharing sites like Airbnb, it can be difficult to differentiate between a bed-and-breakfast and a less formal arrangement. Most reputable bed-and-breakfasts are recognized by an organization like the American Automobile Association, trade organizations like the Professional Association of Innkeepers International, or the Association of Independent Hospitality Professionals. In addition to converted private residences, some establishments are considered bed-and-breakfast inns. The same concept of "room and breakfast" applies. The major difference is that an inn has more rooms available than the usual one to four found in a private home. Inns often provide meals in addition to breakfast, as well as other services not always provided in a private home. These two terms are used in the industry to distinguish the difference between a stay in a private home and an inn. But remember, no two homes or inns are alike. They vary even within the same geographic area. Travelers usually are attracted to a particular area by recreational, cultural or historic sites or need to go there for business. Business travelers, especially women, will sometimes seek out bed-and-breakfast accommodations as an alternative to the typical lodge, motel, or hotel facility available in an area. Sometimes this is for cost reasons or to provide a little peace and quiet on an otherwise hectic trip. Most of the time rates are lower than hotels and inns. Regular bed-and-breakfast visitors consider the low-key environment a big plus. In the past, a bed-and-breakfast wasn't necessarily the reason a traveler would visit a given area, but as these establishments grew in popularity and improved marketing efforts, some of the most special ones have become attractions themselves. The bed-and-breakfast concept has existed in one form or another for centuries. Monasteries served as lodging for travelers, and in some cases they still do. These accommodations have been popular with the traveling public in Europe for many years. It was in the United Kingdom and Ireland that the term first came into use. In other countries, terms such as paradors, pensions, gasthaus, minshukus, shukukos, homestays, and pousadas are used to describe what Americans and English-speaking Europeans think of as a bed-and-breakfast. American bed-and-breakfasts date back to the time of early settlers. As pioneers traveled the trails and roads across the new country, they sought safe refuge in homes, inns, and taverns. In fact, some of those historic accommodations now serve as bed-and-breakfasts. During the Great Depression, many people opened their homes to travelers to bring in money, although these were usually referred to as boarding houses. After the Depression, this type of lodging fell out of favor, and the prevailing image was that such accommodations were for low-income travelers or drifters. In the early 1950s, the term "tourist home" became widely used. This, too, was essentially a form of bed-and-breakfast. However, once motels were built on the new interstate highways, they grew in popularity as tourist homes declined. Today, the bed-and-breakfast is not viewed as a low-cost lodging facility but rather as an attractive alternative to the typical standard chain hotel or motel room. Today, some of these establishments offer amenities not unlike those found at the most upscale hotels in the world. Do You Have the Skills to Be an Innkeeper?